CUBA STANDARD — The State Department made drastic staffing cuts at the U.S. embassy in Havana permanent, which leaves a travel warning in place. The decision by Secretary of State Rex Tillerson came ahead of a March 4 deadline, six months after drawing down personnel by 60% and ordering the Cuban embassy in Washington to do the same, following media reports of unexplained health symptoms affecting 24 U.S. diplomats. An internal rule requires the State Department that 180 days after an embassy drawdown, staff must either be reassigned or sent back to their original post. Internal rules also make a travel warning permanent the State Department issued in September. 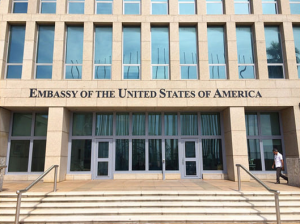 During a meeting in January with State Department officials, a group of U.S. travel executives were told that a highest-level warning is automatically triggered by a drawdown of U.S. Embassy personnel. Making the drastic cuts permanent means that, as Raúl Castro is handing over the presidency to the first non-Castro in more than half a century in April, the U.S. embassy will be run by an emergency staff of 18. 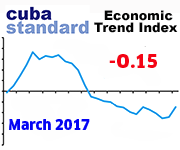 It also means that the U.S. travel boom to Cuba — except for cruises — will likely remain stalled, for now. Like with previous reactions to recent U.S. statements and acts, the official response by Cuba has been relatively muted. “The U.S. gov(ernment) has sufficient evidence that Cuba is a safe country for U.S. diplomats, and for diplomats of any country, as well as for Cuban citizens and for over 4 million foreign visitors every year,” wrote Carlos Fernández de Cossio, the head of United States affairs in the Cuban foreign ministry, in a Tweet. Official media seemed to even play down the impact of the measure. 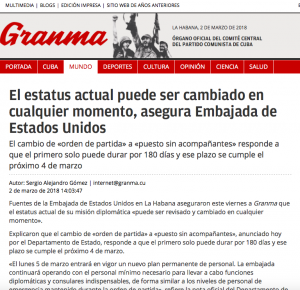 In an unusual twist, an article in Granma — the official organ of the Communist Party — quoted an unnamed “source at the U.S. embassy in Havana contacted by this newspaper” saying that the staffing cuts could be reversed any time. A new chargé d’affaires, Philip S. Goldberg, started his new assignment at the U.S. embassy in Havana in February. In the run-up of the March 4 deadline, 28 travel businesses and trade groups signed a petition to the State Department and Tillerson to re-staff the embassy. Using a survey showing that Cuba is a safe destination, the group also asked to lower a travel advisory from Level 3 (“reconsider travel”) to at least Level 2 (“exercise increased caution”). The same day, Rep. Kathy Castor (D-Tampa) also wrote a letter to Tillerson, urging him to restore staffing levels in Havana. The survey of 42 tour operators and educational travel organizations conducted in January by the Washington-based Center for Responsible Travel (CREST) found that none of these companies’ clients reported any health issues similar to the diplomats’ ailments. 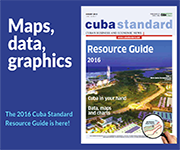 Together, the 42 companies sent 42,000 travelers to Cuba in 2016 and 2017. “In addition, there have been no confirmed cases of similar illness among the estimated 700,000 private U.S. citizens who visited the island nation in 2017,” a CREST press release said. At the FITUR travel show in Madrid, Cuba received the Excelencias award for safest destination worldwide. 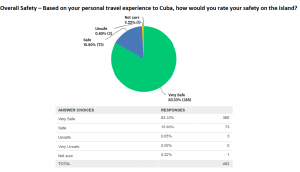 Meanwhile, a survey conducted by tour operator Cuba Educational Travel among 462 recent U.S. travelers found that there is a perception of very limited risk. 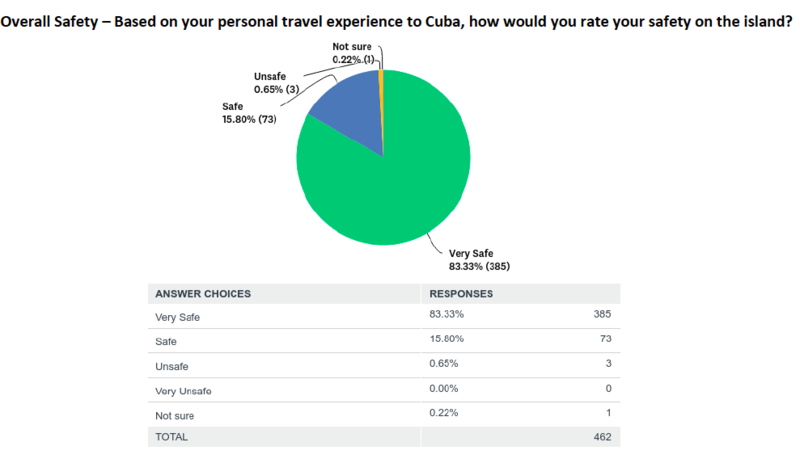 Eighty-three percent of travelers in the survey believe that Cuba is “very safe”, with less than 1% checking the “unsafe” box, and none checking “very unsafe”. Asked about petty crime, 83% believe Cuba is “very safe”; in terms of violent crime, 85% chose the “very safe” option. Asked about health and disaster preparedness, 95% believe Cuba and the travel providers are either “very well prepared” or “well prepared”. Most tellingly, 97% of travelers said they would recommend traveling to Cuba, based on their own experience. Even so, U.S. travel has slowed dramatically since November. A total of 1.173 million U.S. visitors checked into Cuba in 2017, 91% more than in 2016, according to Cuban officials. That included close to 454,000 Cuban Americans — 37.8% more than in the previous year —and nearly 620,000 non-Cuban U.S. travelers — a whopping 117.4% increase from 2016. 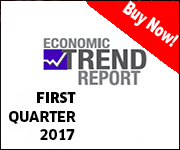 However, in a sign that the Trump administration’s rhetoric seems to be scaring away travelers, total visitor numbers were down 10% in December and were lagging 7-8% in January, mostly due to a decline in U.S. travelers, according to José Manuel Bisbé York, president of Grupo Empresarial Viajes Cuba, the state holding in charge of the vast majority of inbound travel. Arrivals from the United States, which skyrocketed in December 2016 with the initiation of scheduled flights, were down 30% this December, he said. Top executives of three U.S. travel companies and the manager of one hotel in Havana confirmed to Cuba Standard that their U.S.-Cuba business took a dive this fall and winter. Reservations at Insight Cuba, one of the largest U.S. tour operators, were down 50% in January; occupancy at the 27 hotels in the island managed by Meliá Hotels declined 20% in December and January compared to last year. The only exception are cruise passengers, as U.S. cruise lines continue to add Havana stops to their longer Caribbean voyages. The State Department’s measures did not affect just Americans, but even more so Cuban travelers. 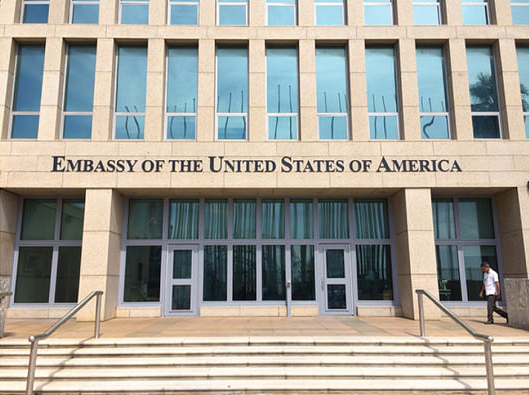 The drawdown at the embassy brought most consular tasks in Havana to a full stop, forcing Cubans to apply for visas at U.S. embassies in Mexico and Colombia. According to a ProPublica report, U.S. officials said the State Department has already informed the Cuban government that it will likely not meet its annual commitment to admit at least 20,000 Cubans under a 1994 migration agreement. “Perhaps the biggest losers will be the hundreds of thousands of Cubans and Cuban Americans, who travel back and forth to see family, celebrate milestones, and attend to sick relatives, since we are unable to properly process visas and facilitate travel,” said Williams, of Engage Cuba. Meanwhile, Ambassador Barbara Stephenson, president of the American Foreign Service Association — the union that represents U.S. foreign-service officers — has made clear most diplomats want to return to Cuba. In a private letter obtained by ProPublica, 35 diplomats and spouses who worked in the embassy urged the State Department to let them remain in Cuba. Even so, the State Department cites security concerns for its decision, using the word “attacks” to describe the unexplained cause of the illnesses. This entry was posted on Friday, March 2nd, 2018 at 2:00 pm	and is filed under Top Stories. You can follow any responses to this entry through the RSS 2.0 feed. Both comments and pings are currently closed.